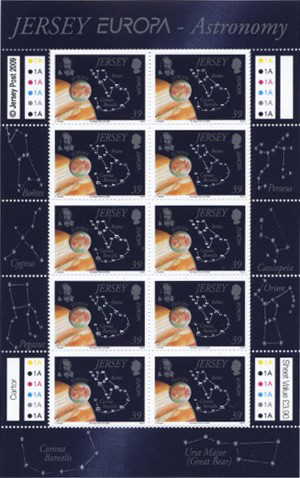 First Day Cover design with a complete set of the stamps and supporting cache art. 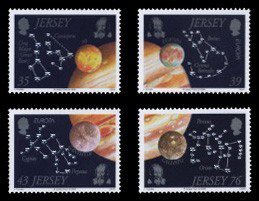 Four stamp set depicting Jupiter as the central motif of a four unit se-tenant design. 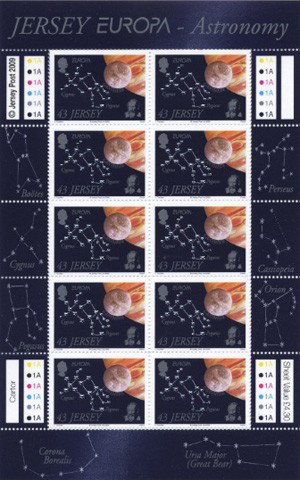 Each quadrant of the design carries one arc of an image of Jupiter which when combined in the correct order, presents an overview of the gas giant. Additionally, the following constellations are featured - Ursa Major, Cassiopeia, Boötes, Corona Borealis, Cygnus, Pegasus, Perseus and Orion. 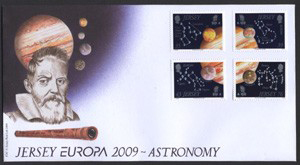 Galileo, discoverer of the four Jovian satellites - Io, Europa, Ganymede and Callisto - will join Jupiter and those moons as a design feature of the four stamps. 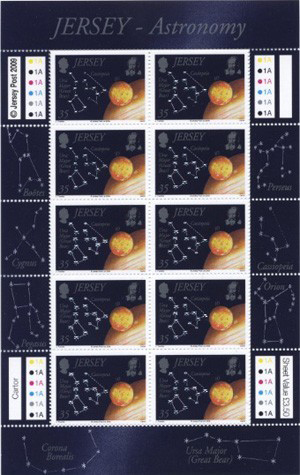 The constellation designs are to present a 'twinkling star' effect through a combination of embossed printing and 'simili silver.' 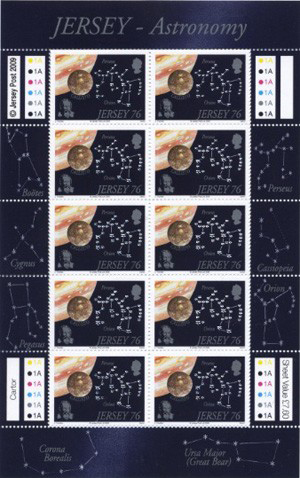 The stamps sold as sheets of ten (of a single value) also carry the constellations in the selvage portion of the sheet.